We combed all the review sites and these stylish laptops stacked up the best. You need the very best college school supplies for your return to campus, and a laptop is no exception. High-functioning, fast, powerful, sleek, all within your budget and perfect for your decided major? Not an easy choice! 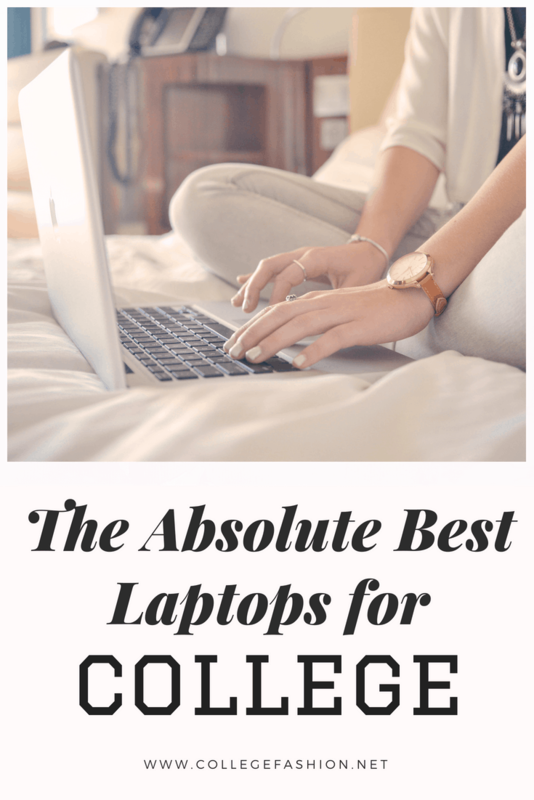 To help you decide, today we’ve rounded up six of the best laptops for college (in no particular order), listed with a full description of their features, prices, and available retailers, as well as access to trusted laptop review sites. Before you start, make sure to check if your university provides any specific discounts! Certain companies might partner with colleges for cheaper prices on their models, or your college could have a general discount — score! The Dell XPS is one of the best laptops out there on the market, period! It boasts a beautiful 1080p InfinityEdge screen, breaking the limits of screen bezels for richer images and wide-angle viewing. The only con? A webcam placed at the bottom of the screen, instead of at the top (there’s no space! ), offering a rather unflattering view of the face — if you don’t video chat that often, or simply don’t mind, this shouldn’t be a problem! With Intel rolling out its new 8th-Gen Core this year, Dell was quick to follow up, though the similar, slightly slower 7th-Gen is still going strong. Take your pick from any configuration of Core i5 or Core i7 processors (we recommend i5 for mainstream users), 4 to 16GB of RAM, and 128GB to 1TB of SSD. Prices start at $749.99 (7th-Gen, i3-7100U Core, 4GB RAM, 128GB SSD) for a 2017 model (9360). Usually i5, 8GB RAM, and 256GB SSD are preferred, taking you from $949.99 (9360) to $1199.99 (9370). Read up on the difference between the 2017 and 2018 models here (CNET) — the 2018 is a bit more powerful and smaller, with better cooling and a new rose gold/white design, though altogether the two are very similar. Fan of touchscreens? The HP Spectre is likely to be your best choice. It’s a 2-in-1 laptop/tablet equipped with a tablet pen, and the 13-inch model comes with a 1920 x 1080 pixel display and weighs just 2.5 pounds (it’s only 10.4 mm in thickness)! The design is also incredibly sleek and impressive, with a narrower body and wider screen from last year’s rendition, as well as flexible hinges and a polished, backlit keyboard. The HP Spectre comes in a surprising color combo, “ash silver,” of copper and charcoal, as well as in gold and matte white. 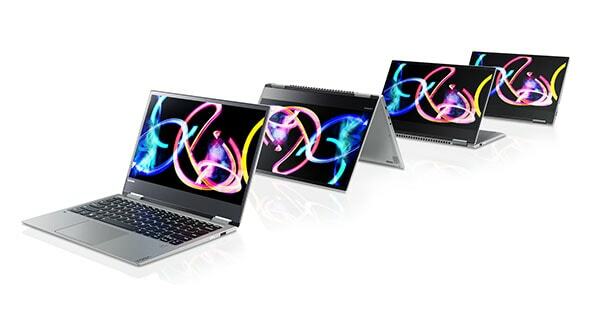 Laptop Mag describes the display as “bold, bright, and beautiful,” with 319 nits of brightness and HD details. Cons, however, included the lack of room for any other ports except 3 USB Type-C ports (instead of the usual Type-A), as well as a relatively short battery life: Laptop Mag’s Battery Test came to only 6 hours, 6 minutes, and the Spectre lasted CNET’s streaming video test for 7 hours, 10 minutes. 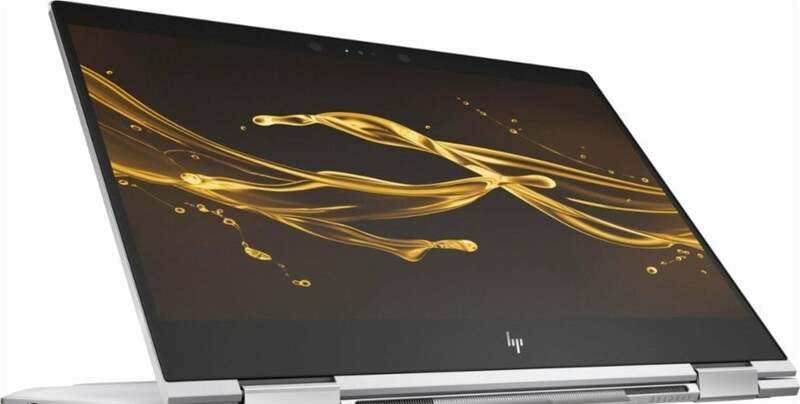 HP offers a great deal on Amazon of $899.99, for a certified refurbished 13″, 8th-Gen, Core i7, 8GB RAM, 256GB SSD, though new versions start at $1219.99 on their site, for the same features (except with an i5 Core). Another fabulous 2-in-1 laptop/tablet option, the Lenovo Yoga 720 comes at a fairer price point while touting an array of excellent features. The sturdy hinges allow your device to spin 360 degrees and hold its position, while the smooth and sparkly aluminum silver casing makes for a classy design statement. The Yoga 720 also professes a 1920 x 1080 pixel screen, USB 3.0 port, USB Type-C port, and Thunderbolt 3 port, as well as 280 nits of brightness, an accurate and comfortable touchscreen and touchpad responsiveness, and strong performance in terms of multi-tasking and graphics, according to Laptop Mag. The hardware doesn’t easily overheat, though expect some fan noise if you push it a lot further than daily tasking and web surfing. Downsides? Again like the HP Spectre, the Lenovo Yoga 720 has a shorter battery life, clocking in at 7 hours, 4 minutes on Laptop Mag’s Battery Test and 8 hours, 46 minutes for CNET. The keyboard is also a bit shallow, though definitely not enough to interfere with user comfort. Just make sure to keep an eye on the battery when whisking this one out and about! This 2-in-1 is perfect for students, especially any gals on a budget (though check our next option for even fewer dollar signs! ), with a crisp design and flexibility for tablet-style note-taking. Read up further with Laptop Mag or CNET for their individual reviews. A 7th-Gen, Core i5-7200U, 8GB RAM, 256GB SSD, altogether weighing 2.87 pounds, is on Amazon for just $766.82, or with a Core i5-8250U, only $739.94! 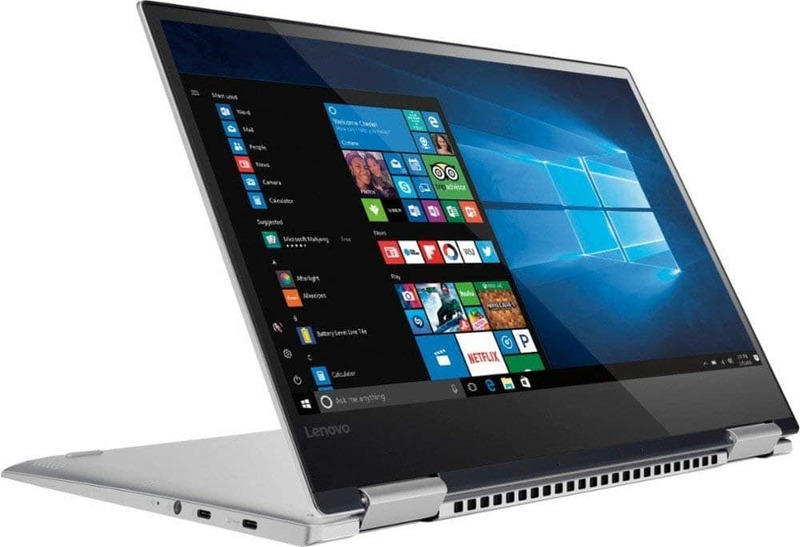 Lenovo’s own site is pricier, starting at $1199.99 for the same features. Asus offers some of the best budget laptops for college out there, and the Vivobook E403NA is definitely one of its stars! Lightweight aluminum decks out the lid, and the sides and bottom are made of plastic, allowing this device to weigh in at just 3.1 pounds. The display is a spectacular full-HD, 1920 x 1080 pixel, 14-inch screen, despite the price. Viewing angles are decent when paired with the Vivobook’s 213 nits of brightness, though color saturation may come out as a bit white-washed. The Vivobook is loaded with the necessary ports, including 2 USB 3.0 ports, an HDMI outlet, an SD card reader, a Kensington lock slot, a USB Type-C port, and a headphone jack. The keyboard is sturdy and easy to use, but there’s a learning curve with the touchpad (it’s slippery!). The E403NA lasts 8 hours, 4 minutes, on Laptop Mag’s Battery Test, which will definitely carry you throughout the day. Lightweight, easy to carry, and not compromising on many solid features in spite of the sub-$500 price tag, the Vivobook E403NA is the way to go! Its 4GB RAM and 128GB eMMC drive will make daily computer usage still quite easy. If you’re willing to sacrifice 2 more pounds and $50 but add an extra inch of screen width, opt instead for the $349 Acer Aspire E15, which is more colorful and can have up to 1TB of storage. Both are great value choices! 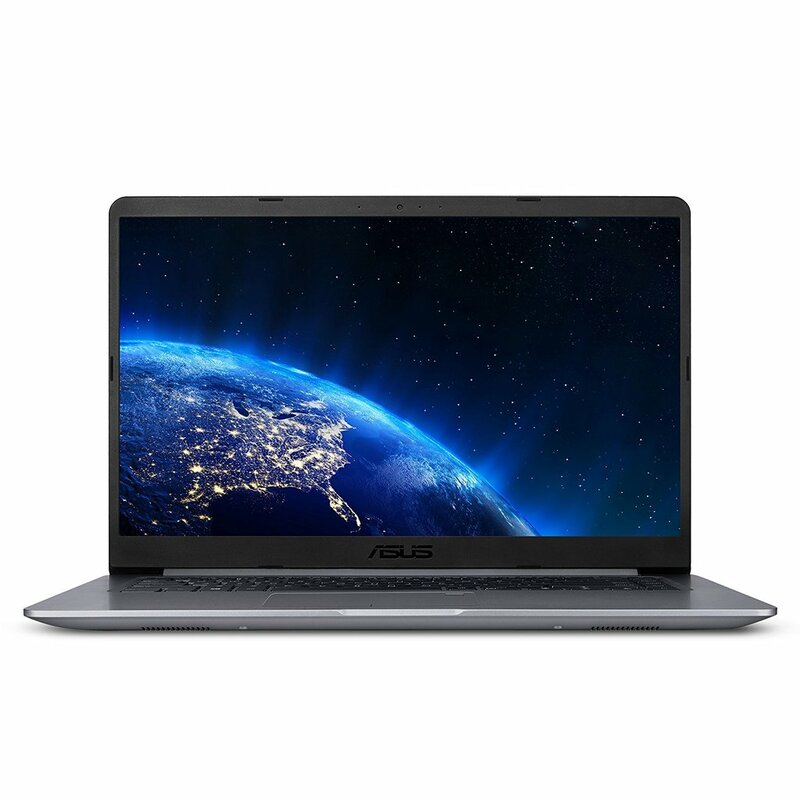 Asus retails this edition in its Vivobook series for just $299, while Amazon’s got your back at an even lower $257.76. The Microsoft Surface Pro has been all the rage in recent years, and we can definitely see why. Though more of a tablet than laptop, the detachable keyboard makes this just as 2-in-1 as the above two we mentioned, though arguably even better! 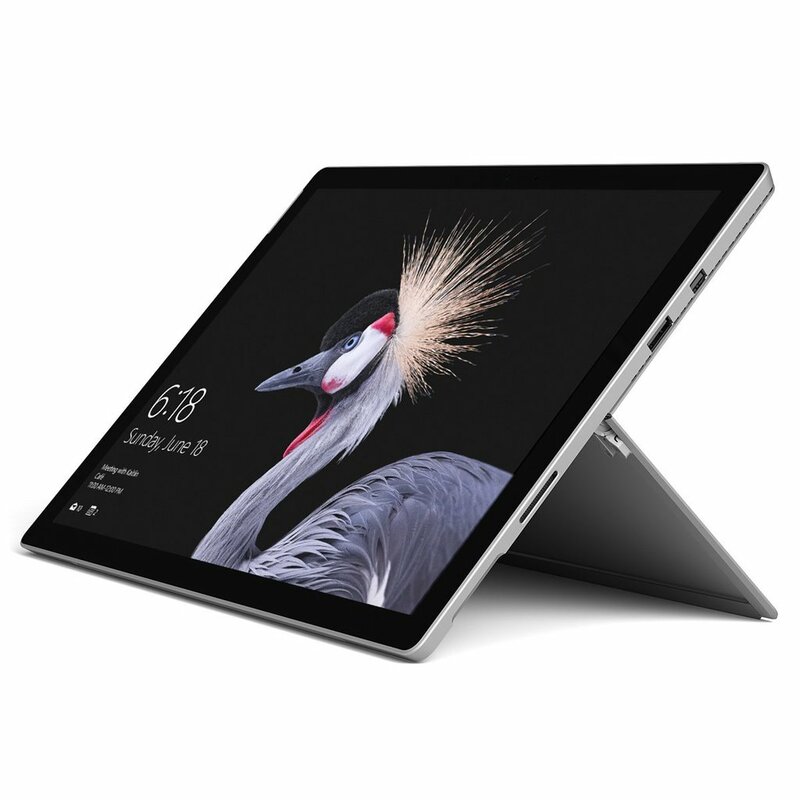 The newest edition of the Surface Pro weighs only 2.39 pounds (with the Type Cover), perfect for toting around campus or writing with, just like a notebook. It comes with a Surface Pen, which, when coupled with the 165 degree kickstand, makes for very comfortable use. However, ports are rather limited: it’s equipped with a traditional USB 3.0 port with a Type-A connector, Surface Connect port, headphone jack, a DisplayPort, and SD card reader (no USB-C or Thunderbolt 3!). Laptop Mag describes the display as “simply one of the best LCD panels on the market,” professing a whopping 2736 x 1824 pixel screen and 396 nits of brightness. The signature Alcantara cloth comes in platinum, burgundy, and cobalt blue for the Type Cover and can be purchased for a fancier keyboard cover as well, allowing for a soft platform to rest on. On 3DMark’s Fire Strike graphics test, the Surface Pro performed 50% better than the Dell XPS 13 and HP Spectre — wow! It definitely packs some serious punch when it comes to performance, going up to 16GB RAM and 512GB SSD, enough for years and years of files. It also lasted 7 hours, 30 minutes on Laptop Mag’s Battery Test, which is decent for a day’s worth of activities. A version with Core i5, 4G RAM, and 128GB SSD starts at $759 on Amazon, which is such a bargain for all of these features! Meanwhile, an upgrade to Core i5, 8G RAM, and 256GB SSD (recommended) racks up at $1046. 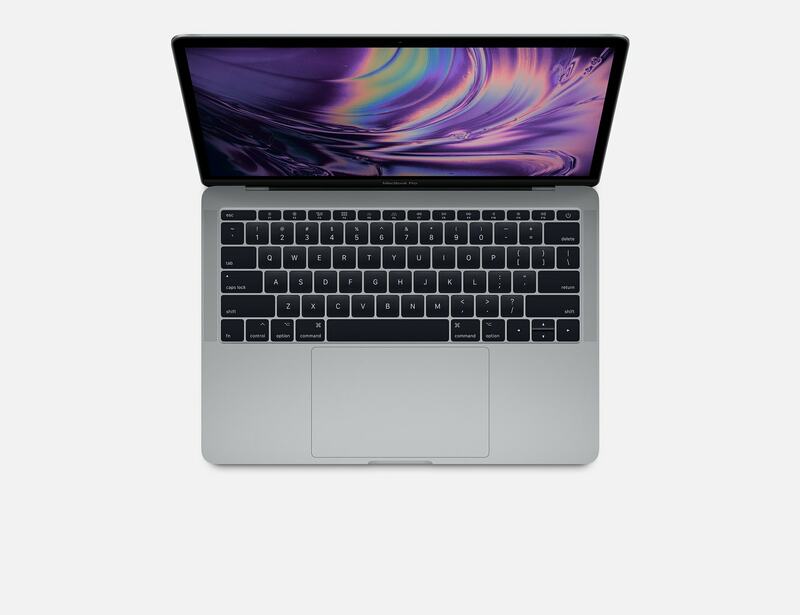 Lucky for all the Apple fans out there, the brand very recently refreshed their Macbook series, and if you’re willing to pay a lil extra, the Macbook Pro 13 is as good as gold! Though lacking the touchbar of its 2018 successor, the mid-2017 model packs a very similar punch. It’s a pro for sure; at only 3.02 pounds, this laptop manages to shine at 495 nits of brightness with a 2560 x 1600 pixel display, incorporate incredibly vivid colors, last 9 hours and 50 minutes on Laptop Mag’s Battery Test, and advise you on any and all matters through Siri. The design is even sleeker and thinner than in earlier editions, sure to make a chic statement in class — especially in the futuristic debut color, Space Gray. And of course, the Macbook Pro 13 comes fully equipped with Apple’s essential set of apps and Mac OS X, sure to make your browsing experience not just powerful but easy, reliable, and comfortable. The only con we’d say is the sacrifice in ports for such a thin model: just 2 Thunderbolt 3 ports on the left and a headphone jack on the right. The MagSafe charger port has since been retired, but the two available Thunderbolts will transfer charge/data exceptionally fast. The entry-level configuration comes well stocked with 7th-Gen, Core i5, 8GB RAM, and 256GB SSD, all for the reasonable price of $1299.99, which is definitely all that you need for many successful school years. How helpful was our guide to the best laptops for college? Will you be considering any of the models on our list? Got any other recommendations? Comment down below and let us all know! If any of you are new to laptop shopping, I hope this gave you a better idea of what to look for!